An Oklahoma couple proved that romance never dies, even after 50 long years of being married. 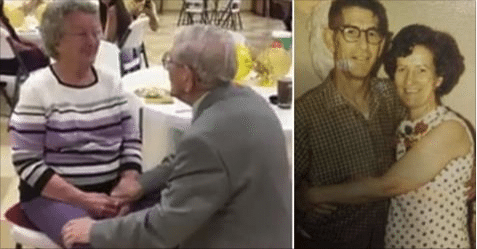 Harvey Wosika, 92, was celebrating his wedding anniversary with wife Mildred last Sunday when he decided to get down on one knee and serenade her in front of 150 family members and friends. In Wosika’s musical number, he sang the Bing Crosby classic “Let Me Call You Sweetheart,” changing the words to reflect his 90-year-old wife. 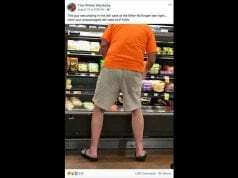 It was especially moving since her grandfather had been short of breath during that time, relying on the aid of an oxygen tank, Epperly said. Wosika usually does not sing unless he and his wife are at church, but “Grandma says he doesn’t sing much anymore there either, due to his voice cracking so much now,” Epperly said. But it seems nothing could get in the way of their all-consuming passion. “Grandpa says the secret is to always say ‘Yes, honey,'” Epperly joked.